Off The Hook Seafood & More all started out by chance. With the market booming due to the success of the Oklahoma City Thunder, opportunities began to arise. In 2012, a friend asked Corey and Loniesha to manage and operate a food truck that a Oklahoma City Thunder player was wanting to start. Unfortunately, the player was traded and the opportunity fell through. However, this did not stop Corey and Loniesha from continuing on with the aspirations of being food truck owners. With Corey having been exposed to the a variety culinary skills and recipes, it only inspired his love for cooking. In 2007, he graduated with a degree in Culinary Arts and rose through the ranks to become Sous Chef at the renowned Remington Park and Casino restaurant and Loniesha a successful real estate agent, they decided to put their skills together and embark on a journey that would change their lives forever! Realizing that there were few and far food options for lovers of southern home-style seafood so in 2013 they bought their own truck and named it Off The Hook! Corey crafted an inventive menu inspired by his upbringing and love for experimenting with spicy flavors. 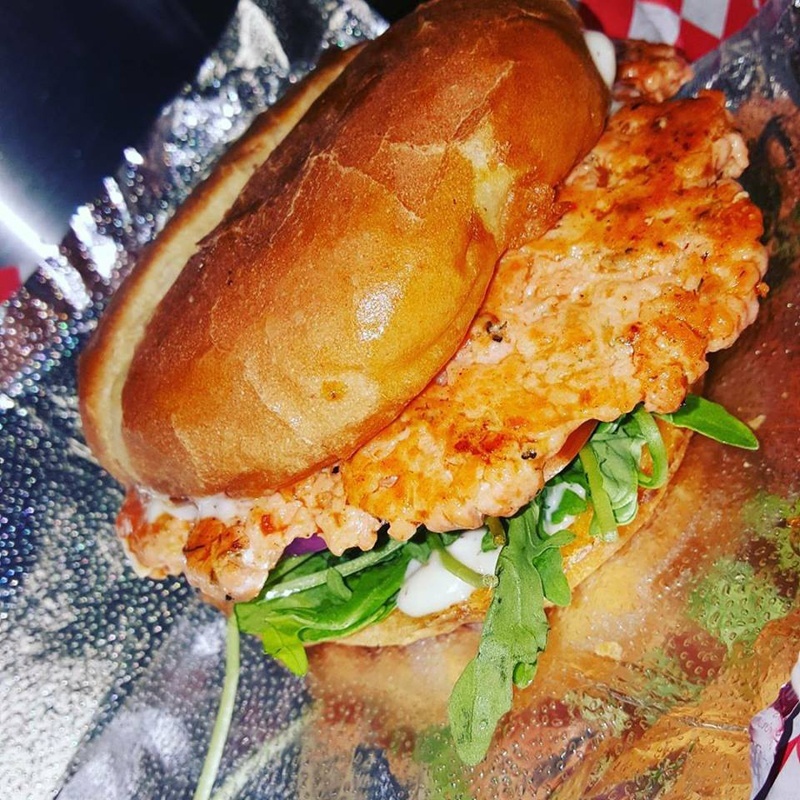 Over the next few years, Off The Hook grew quite an impressive following and when the business outgrew the Food Truck circuit and in 2015 opened what they planned to be the first of many Off The Hook locations. Off The Hook is the talk of Oklahoma City and many speak of the passion and dedication to flavorful detail in each of their signature dishes! From celebrities such as our own MVP Russell Westbrook to locals flock in to experience unique cuisine that stands out from the rest of the food game. Together Corey’s love for cooking and Loniesha’s commitment to giving the best customer service, and the awesome staff have made Off The Hook one of OKC’s most go-to spots…and with plans on expansions & bigger location - they’re just getting started. Some things are just meant to be! We believe you being right here, right now is one of those things! Food brings families, friends, even strangers together and that is what we’re all about! 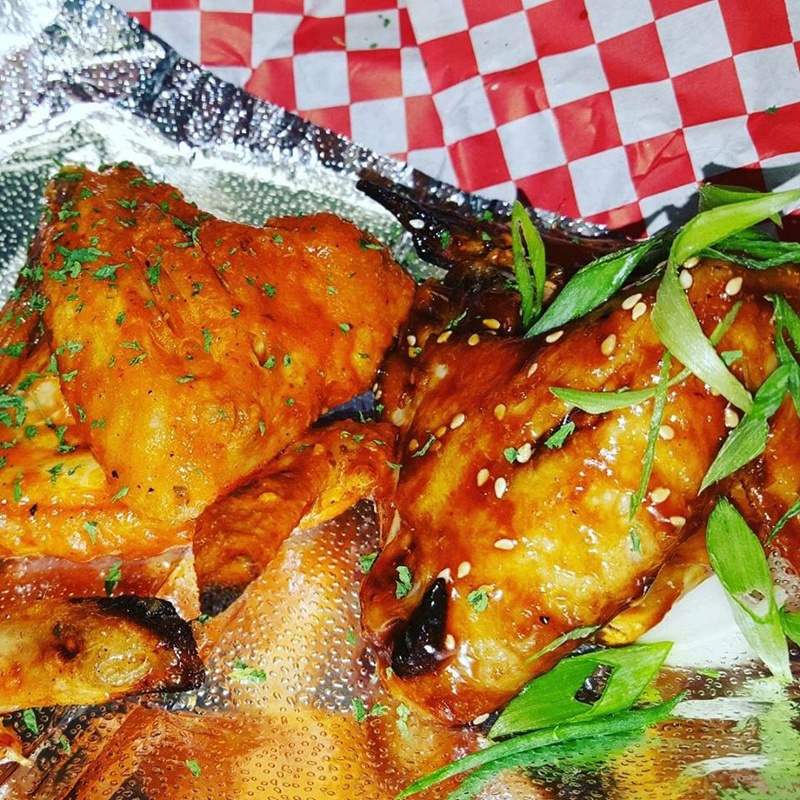 Satisfy your seafood fix at OFF THE HOOK SEAFOOD AND MORE. 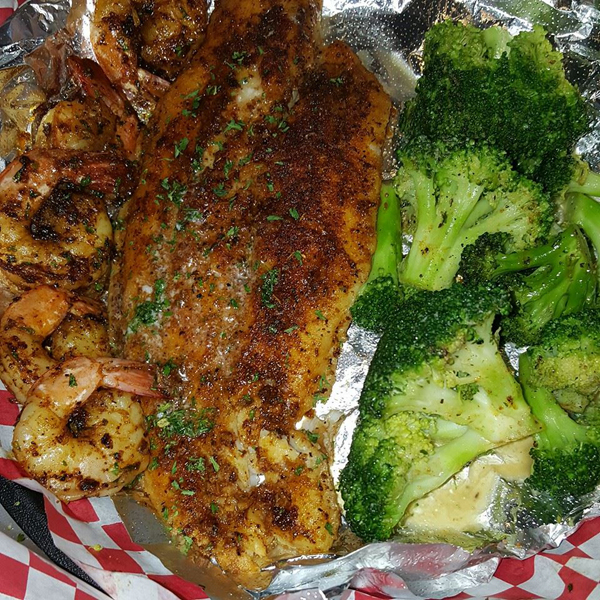 We are home to the most scrumptious seafood recipes in Oklahoma City, OK. Our skilled kitchen staff is dedicated to providing all seafood lovers out there with delicious and delicately prepared comfort dishes. Have you experienced dining at our restaurant? Help us serve you and future diners better by sending your comments and suggestions. Fill out our online form and we will continue to work hard to deliver the seafood recipes you enjoy! Seafood has never been this fresh and appetizing. For an exciting seafood experience, visit us at OFF THE HOOK SEAFOOD AND MORE. Revel in the flavors the sea has to offer with the numerous fish, shrimp, and other seafood dishes we offer. If you have questions about our food and prices, just give us a call. We look forward to serving you with a delectable meal in the future! Visit Us - 2 Locations For YOU! Copyright © OFF THE HOOK SEAFOOD AND MORE, 2019. All rights reserved.